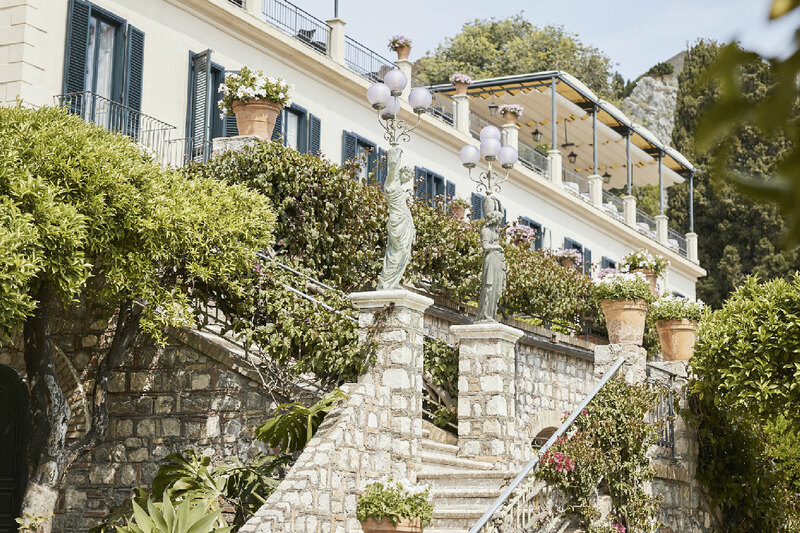 After a ten-year thriving career as General Manager for several luxury hotels, in 2014 Stefano Gegnacorsi took the lead of Belmond Grand Hotel Timeo, as well as its sister property Belmond Villa Sant’Andrea in the role of Area Manager Sicily. 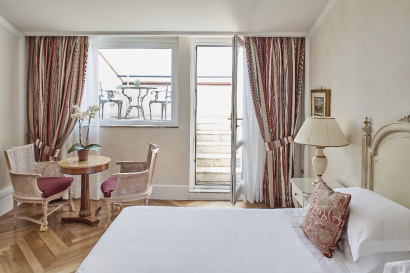 Don Francesco La Floresta’s decision to convert his house into a hotel in 1873 made perfect sense. Ever since Prussian artist Otto Geleng returned to the mainland with watercolours depicting views from his guesthouse, he had received visitor after visitor. People from all over Europe wanted to see the panoramas for themselves. 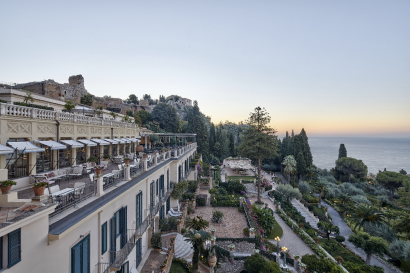 Well over a hundred years later, Belmond Grand Hotel Timeo’s breathtaking vistas and unique charm continue to enchant. Located right next to the magnificent Greek Theatre, the hotel boasts a prime position in the heart of Taormina. 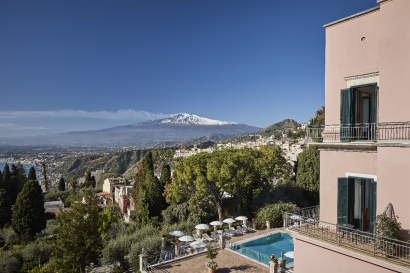 – Combine a fascinating trek on Mount Etna with a tasting of some exceptional volcanic wines. – Embark on a culinary excursion in a small town near the Alcantara Gorge and learn how to cook Sicilian dishes, such as Pasta alla Norma and pistachio arancini. We’ve launched a new, fine dining restaurant open during the summer months. 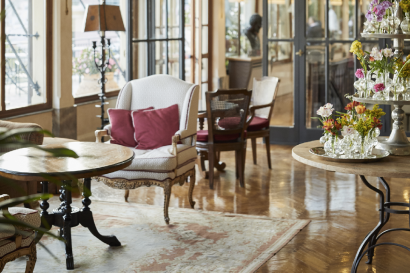 Otto Geleng Restaurant pays homage to the homonymous German painter who long ago set the basis of Belmond Grand Hotel Timeo. 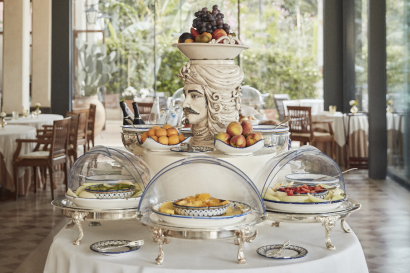 We’ve played on the artist’s first name, meaning “eight” in Italian, to create an exclusive experience: eight sumptuous tables and a signature dish made of eight prized ingredients from the Sicilian sea awaits along with spectacular views. From May to October, in a dedicated area next to the lobby of our sister property Belmond Villa Sant’Andrea, our Smile Club provides a supervised playroom where children can come and enjoy some time together with a professional English-speaking tutor. They can participate in exciting activities such as seashells hunting on the beach, authentic Sicilian cannoli making and many more. – Otto Geleng : Join us in our intimate restaurant, seating just 16 diners, that conjures up the ambience of a noble Sicilian family home. Sit at a table set with baroque-inspired silver cutlery and locally handcrafted table linen and absorb the majestic views. – Time Restaurant : Soak up the mesmerising views of Mount Etna and the sea from our spectacular terrace. 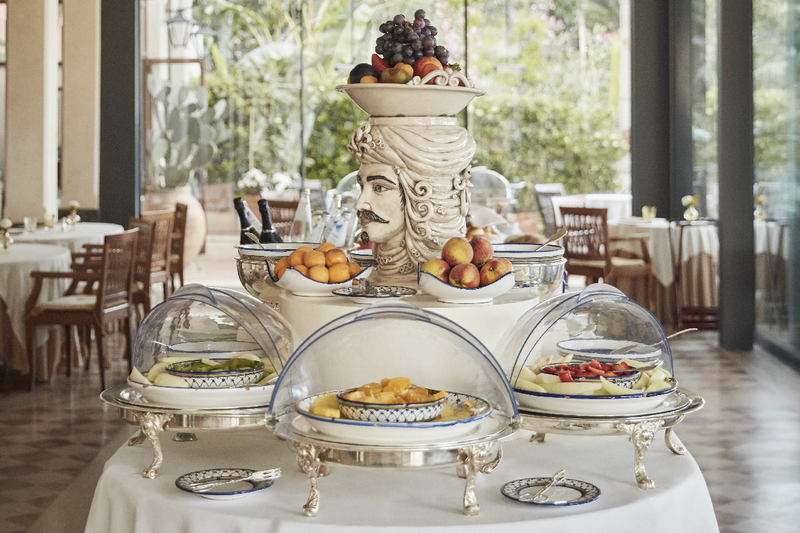 Feast on Sicilian and Mediterranean specialties, accompanied by irresistible local wines. – The Literary Terrace and Bar : Order a cool cocktail and relax as you absorb vistas that have entranced great writers and artists through the ages. 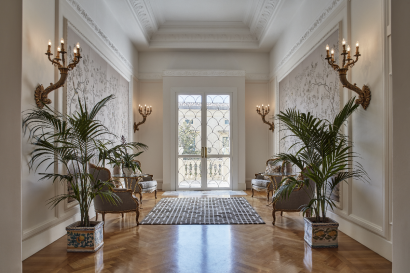 Inside, the bar’s elegant Sicilian carpentry and antique fittings evoke a 19th-century winter garden. – Pool Restaurant and Bar : From May to September, the tempting Pool Restaurant beckons. 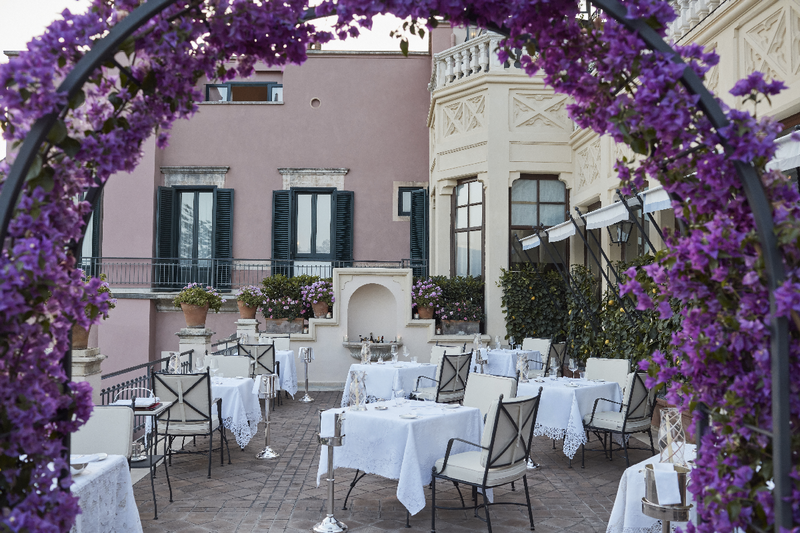 Sit in our shaded terraced gardens and linger over buffet-style appetisers, brick-oven pizza, pasta and specialities from the salad bar. 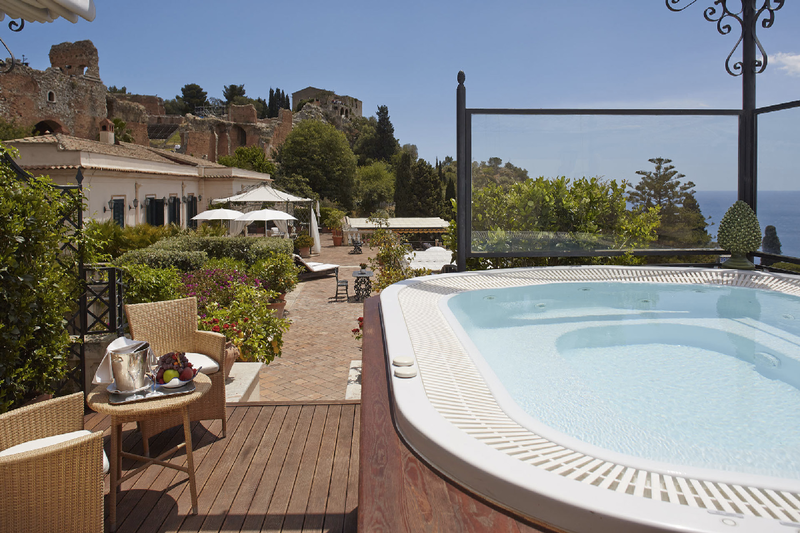 We invite you to enjoy unbridled Sicilian indulgence at our wellness centre in the verdant gardens. We offer three single treatment rooms, a couple’s treatment room and a romantic alfresco gazebo for couple’s massages. We also have a hairdressing salon offering a full range of services. Sport-lovers can stay active in the Fitness Centre fitted with new Technogym equipment and a variety of exercise machines to help you maintain your exercise regime. 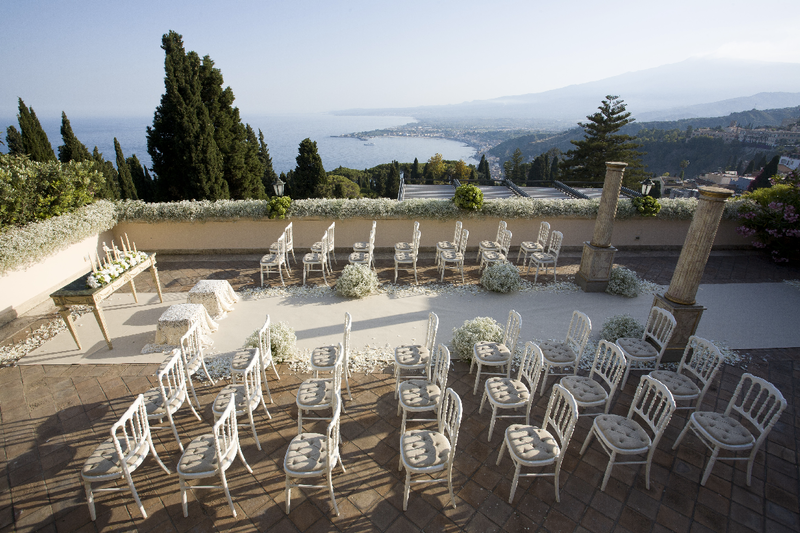 Our sublime venues, set in colourful gardens with their own private entrance, include palatial ballrooms and outdoor terraces boasting beautiful views of the Greek Theatre, Mount Etna and Bay of Naxos. 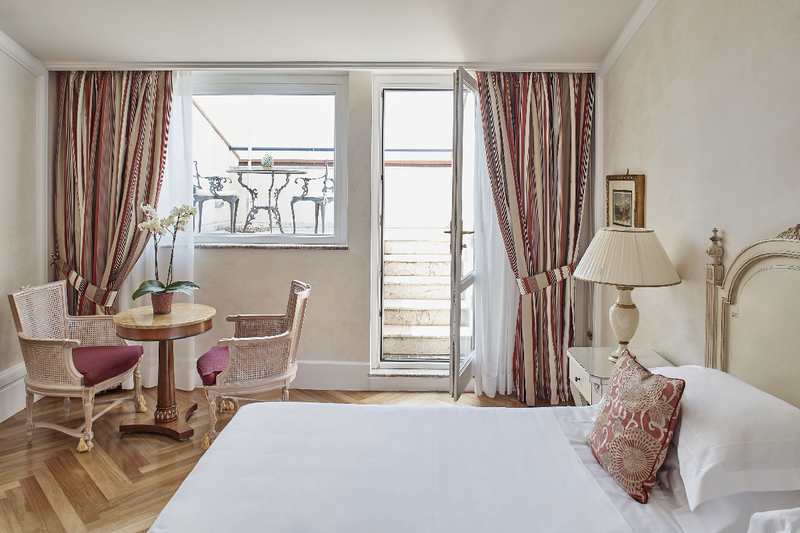 The hotel is ideal for weddings and celebrations, as well as corporate meetings and incentives. Guests can enjoy the facilities of sister property Belmond Villa Sant’Andrea and its private beach. The two properties are connected with a complimentary shuttle service.